Despite an employer offer for substantial wage and other compensation increases over four years, the Chicago Teachers’ Union has taken its members out on strike this week, leaving some 350,000 Chicago Public Schools students wondering what to do with their time and energy. What great divide between the Union and the Schools has precipitated this strike? Primarily, it is the Chicago Public Schools proposal to initiate a new performance evaluation system for teachers, to be implemented gradually and by a joint employer-union committee. In the tradition-bound world of big labor, this is a very radical proposal. 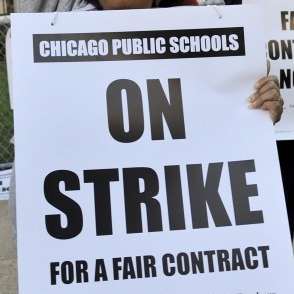 The fact that Chicago Public Schools has made, and stood by, this proposal is a sign of the times in labor relations and collective bargaining across the country. Although the Schools’ offers in Chicago have precipitated a strike, the outcome of its bargaining strategy remains to be seen. In the current political, cultural and economic environment many unionized employers may have unprecedented opportunities to achieve important changes in their union contracts. Unionized employers should pick up the signals being sent by this and other collective bargaining activity around the country, such as the American Crystal Sugar lockout. Since the onset of the 2008 recession, developments in labor relations suggest that some employers are taking relatively radical positions on key contract issues, and that unions are less inclined, or less able, to resist them than they have been in the past. This observation applies not only to economic items like wages and insurance, but also to a range of other subjects such as protection of bargaining unit work, furloughs, use of seniority, and even pay-for-performance. The Chicago Public Schools’ latest proposal includes formation of a joint union-employer committee to study “performance based” differentiated compensation models. The President of American Crystal Sugar, which locked out its union workers for several months beginning in August, 2011, may have expressed the feelings of many union employers when he said, “We can’t let a labor contract make us sick forever and ever and ever. We have to treat the disease.” Employers who think strategically and make fair and respectful bargaining proposals--even ones that may be heretical to the traditional union shop--may find that unions and the workers they represent are more receptive to them than in the past. In this environment, employers may be able to realize significant new gains in workplace flexibility and productivity. Unionized employers will be wise to seize the day by assessing and planning for these important bargaining opportunities.